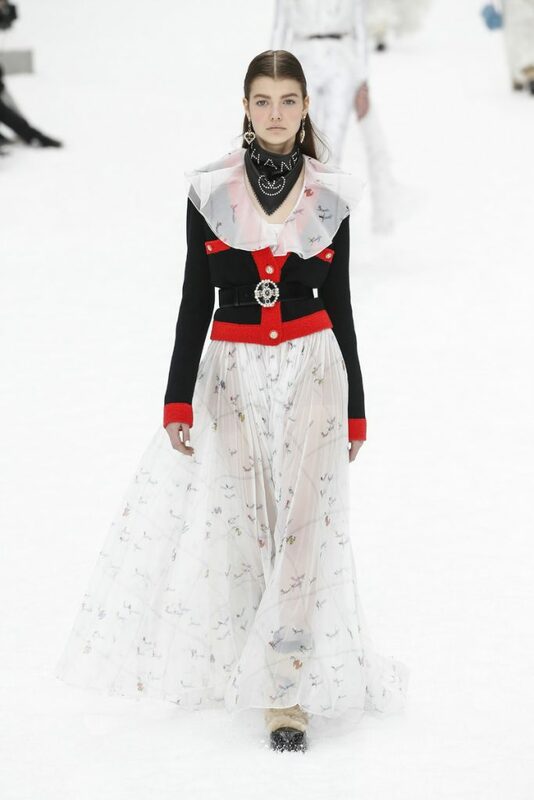 After a minute silence, Karl Lagerfeld’s voice took over. 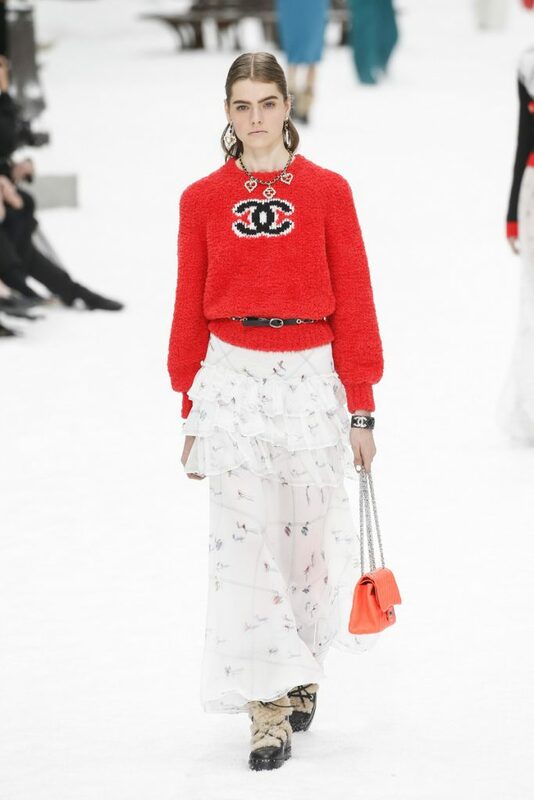 A recording from a recent Chanel podcast to which he spoke in French. 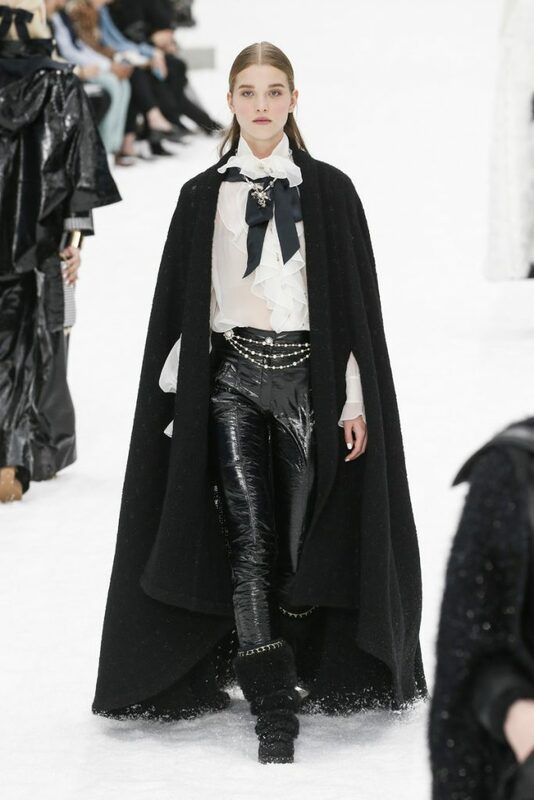 Hearing him speak made it even more sentimental, even though Karl himself probably was the least sentimental person. 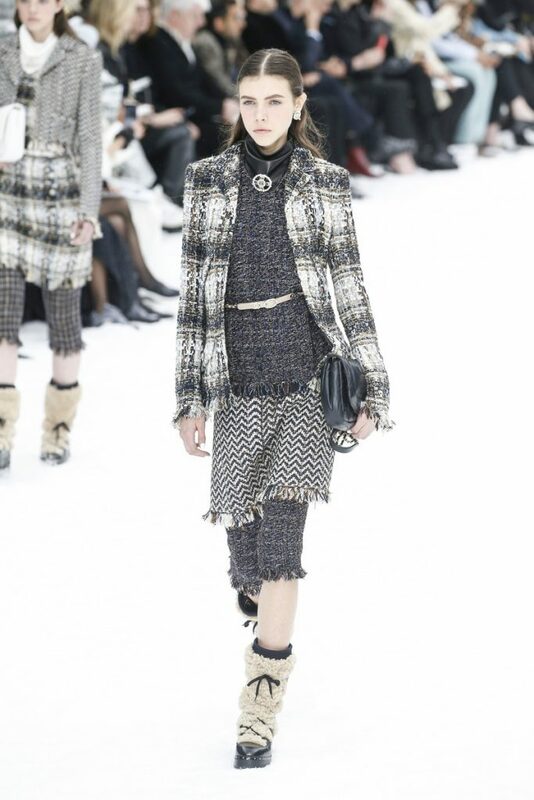 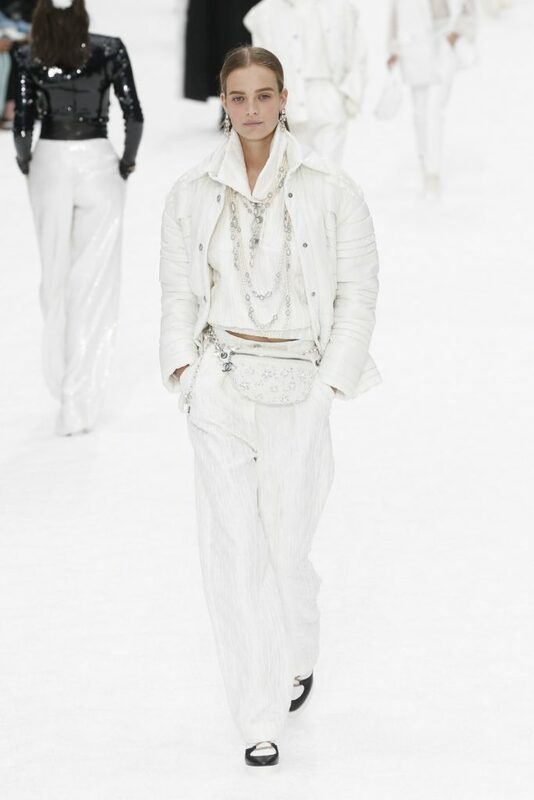 One of his favorite it-girls from the last couple of years, Cara Delevingne, opened the show. 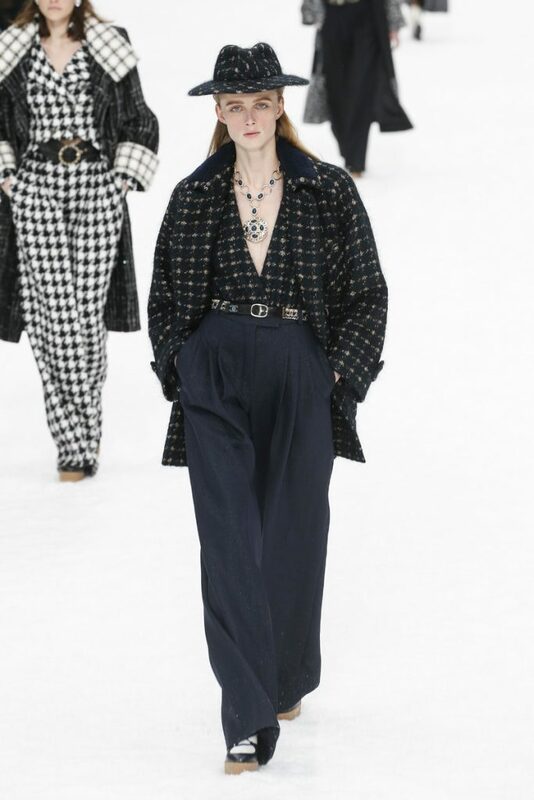 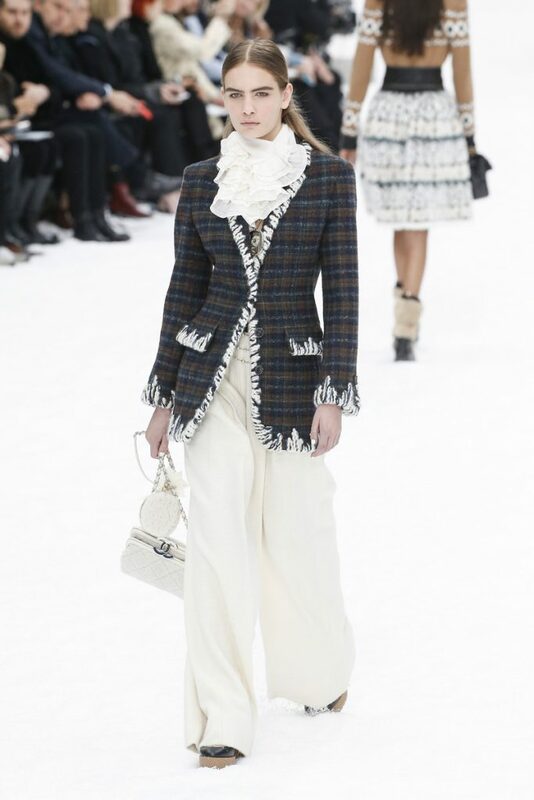 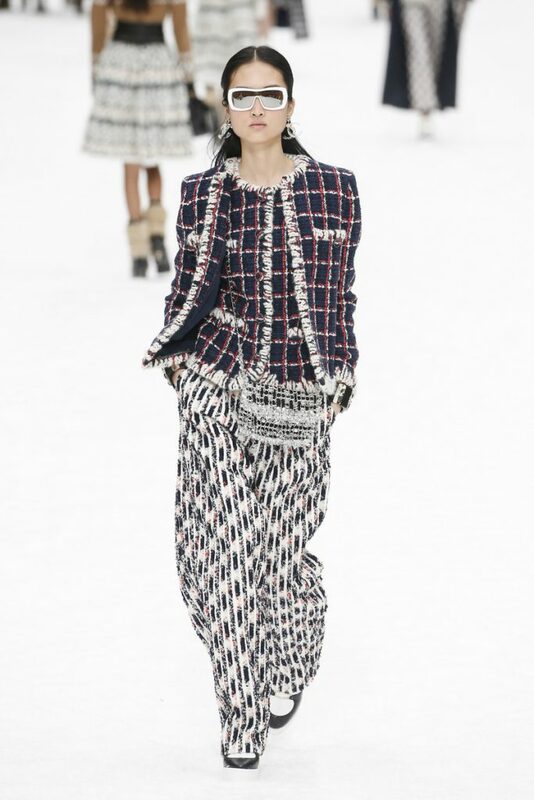 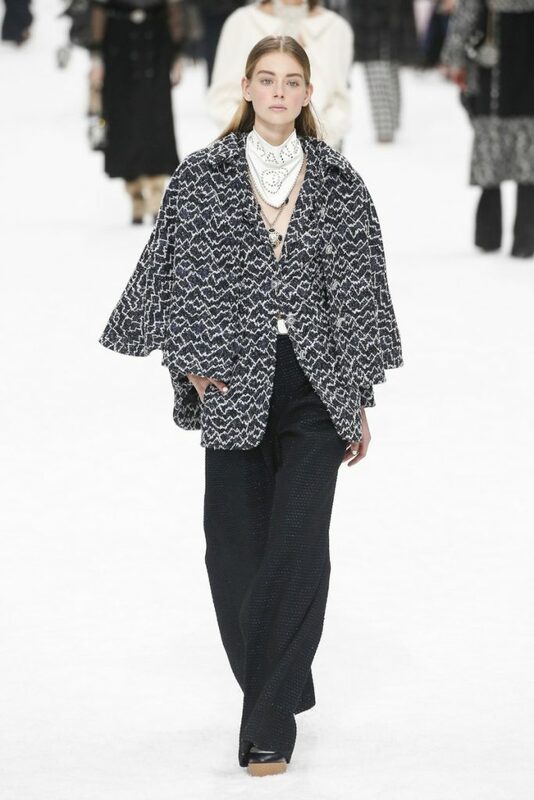 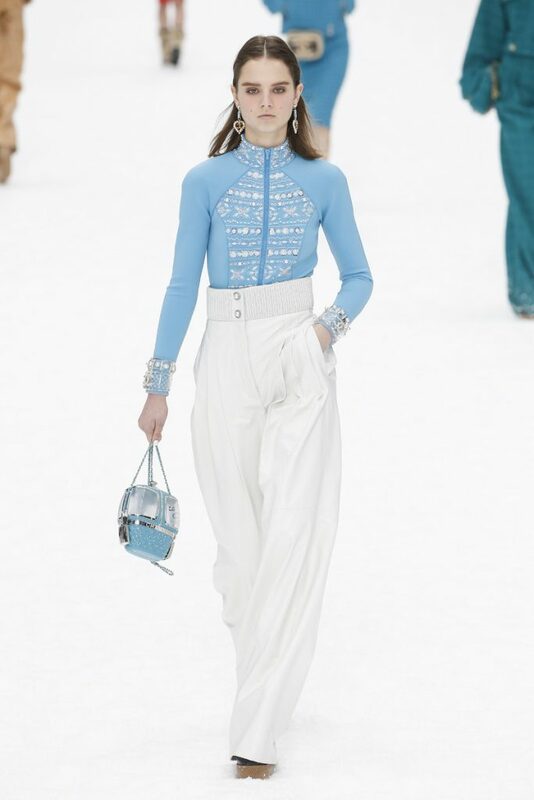 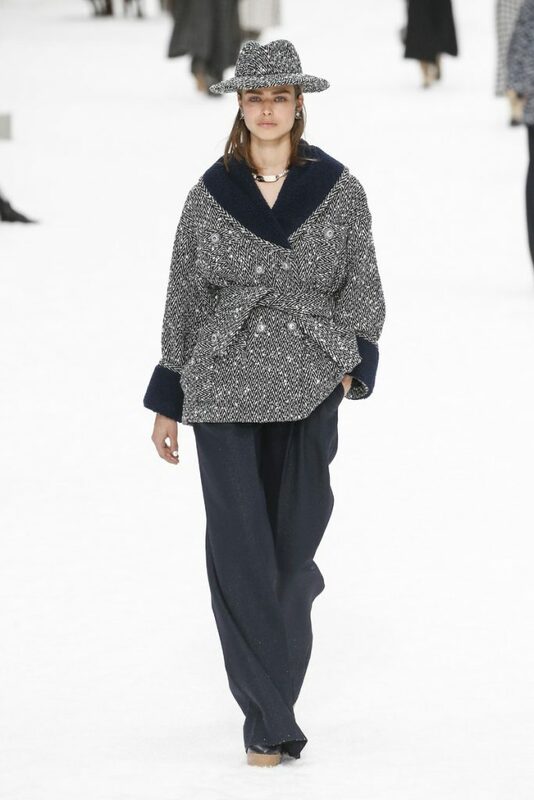 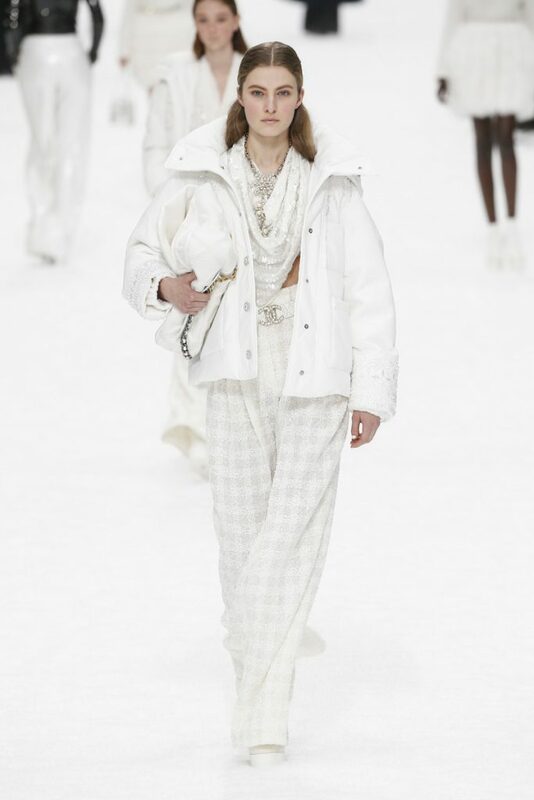 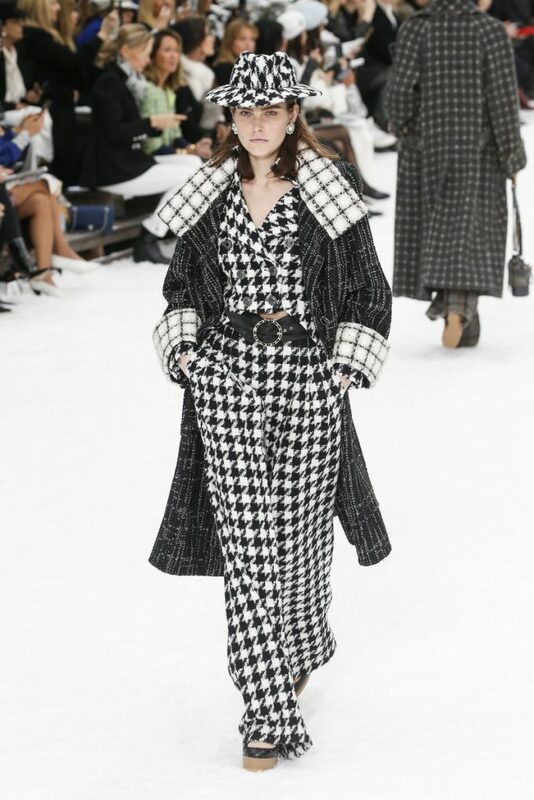 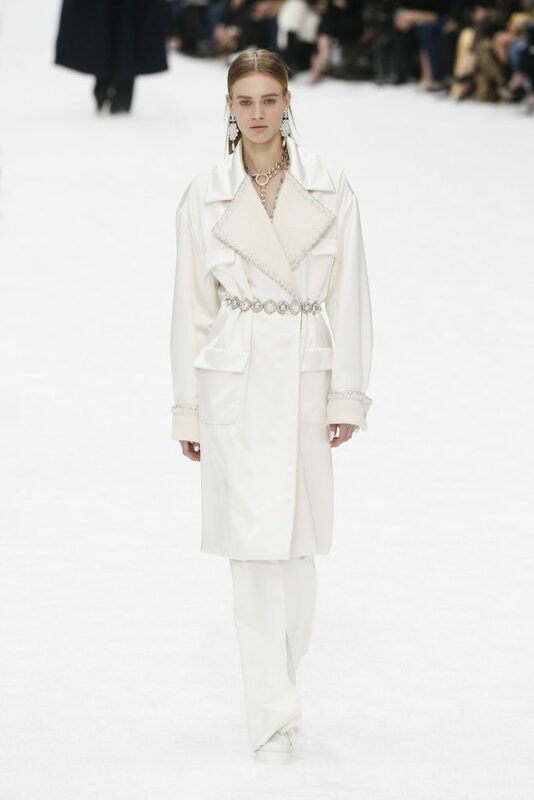 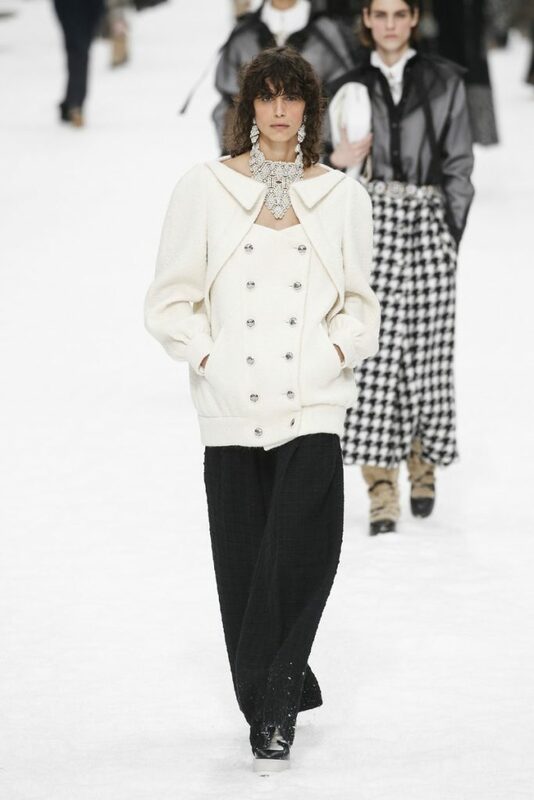 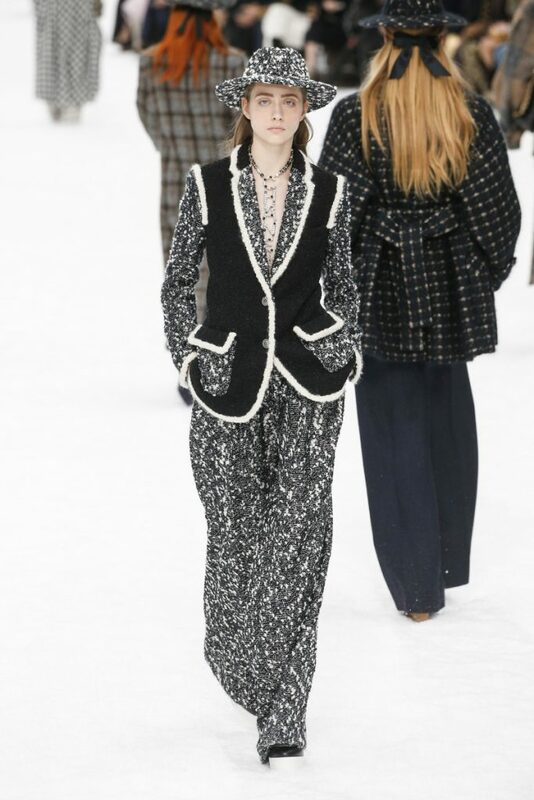 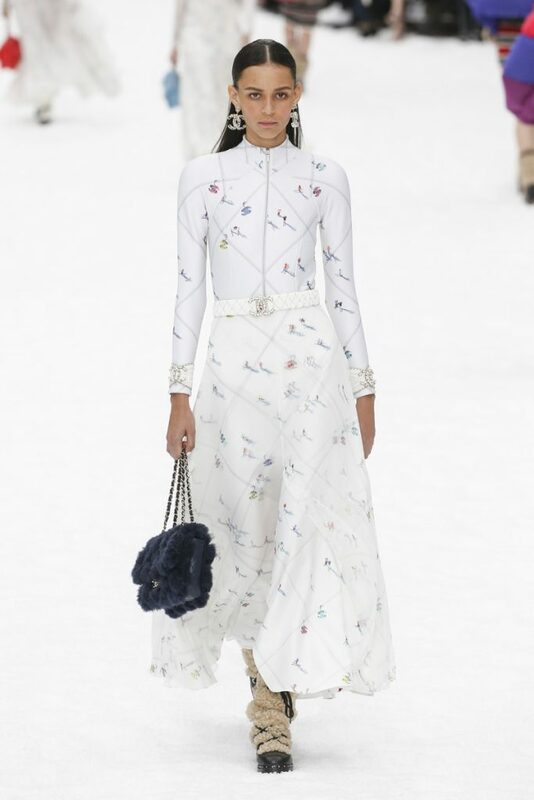 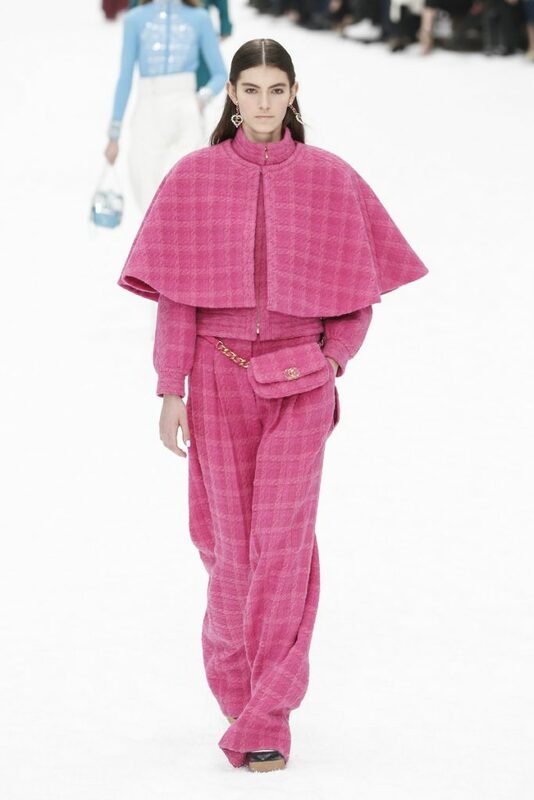 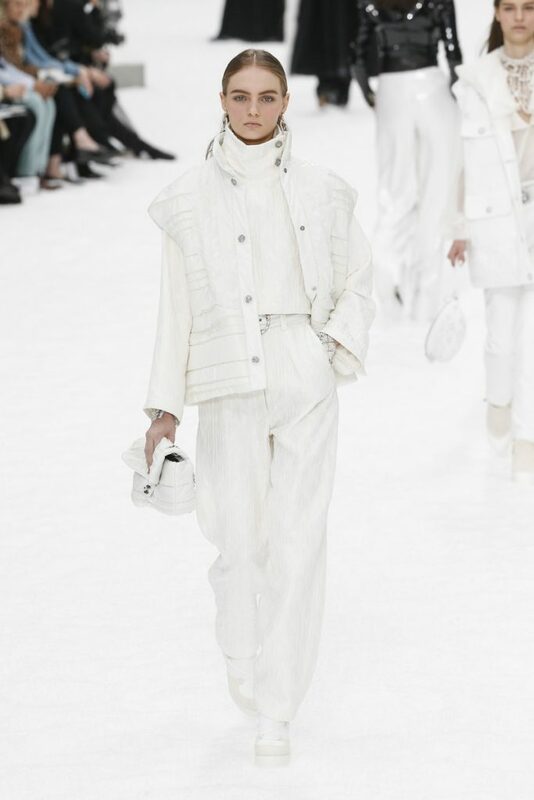 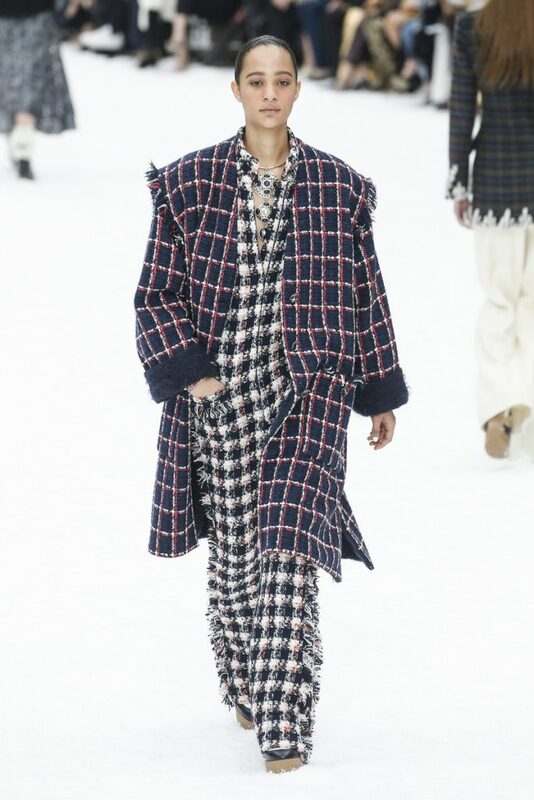 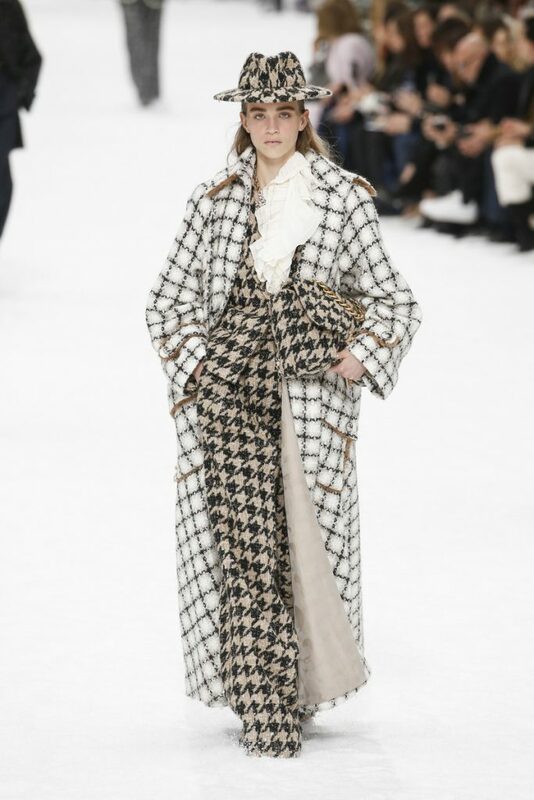 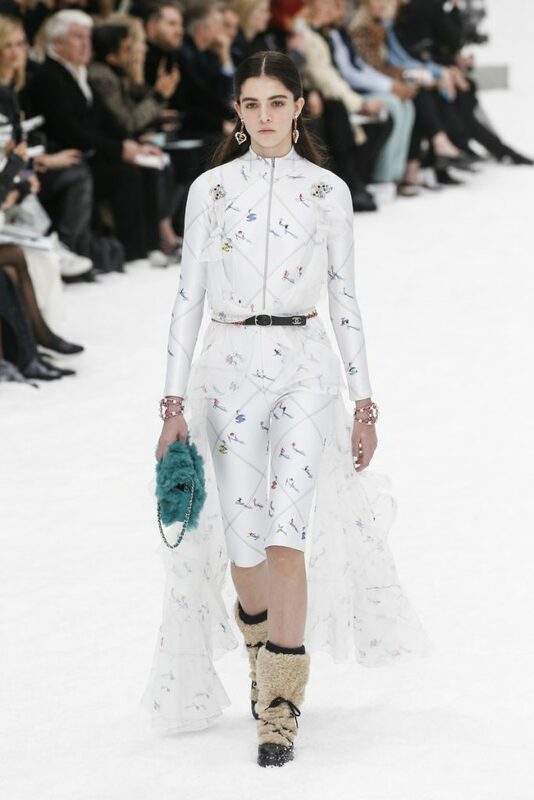 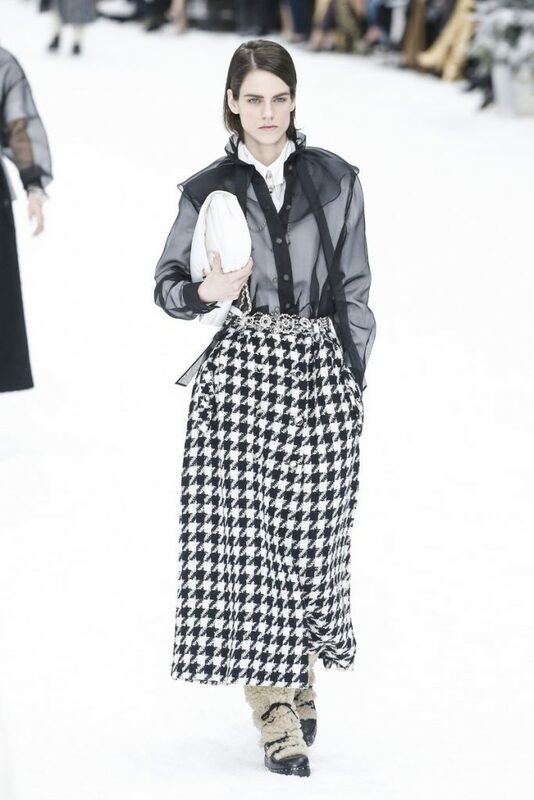 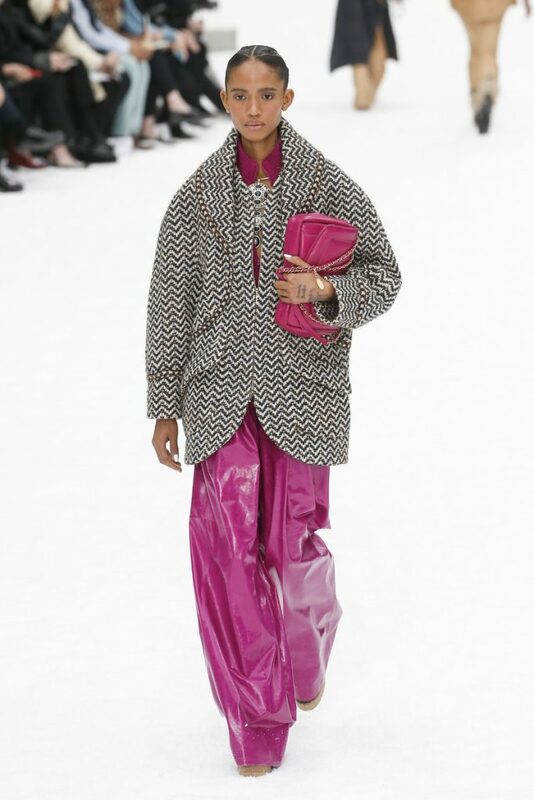 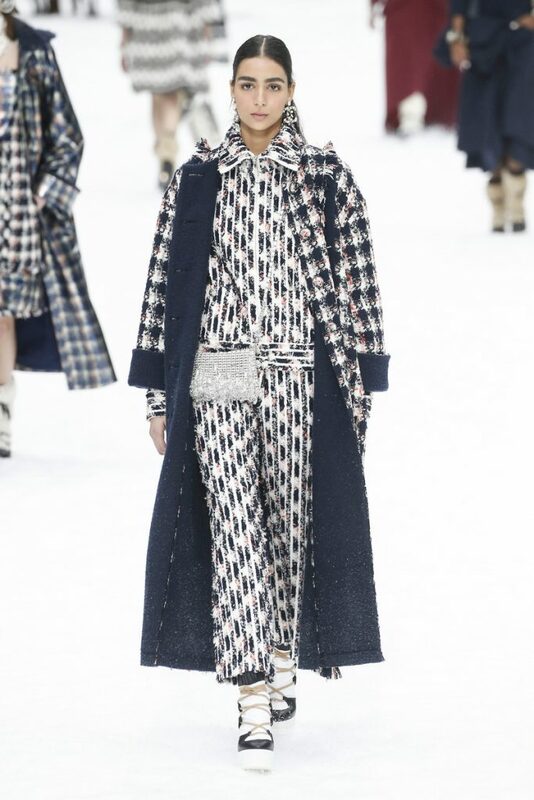 She appeared to the all white, snowy village that was built as the fw2019 backdrop wearing a complete checked look (roomy trousers, top, coat and hat). 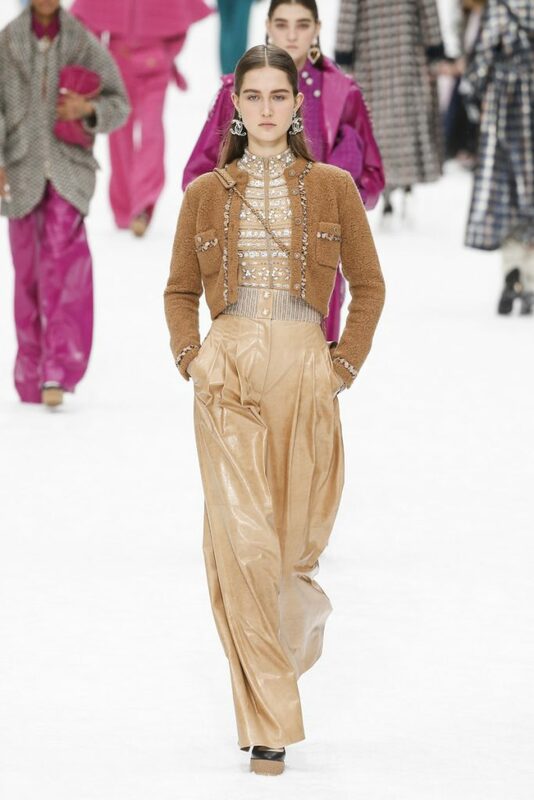 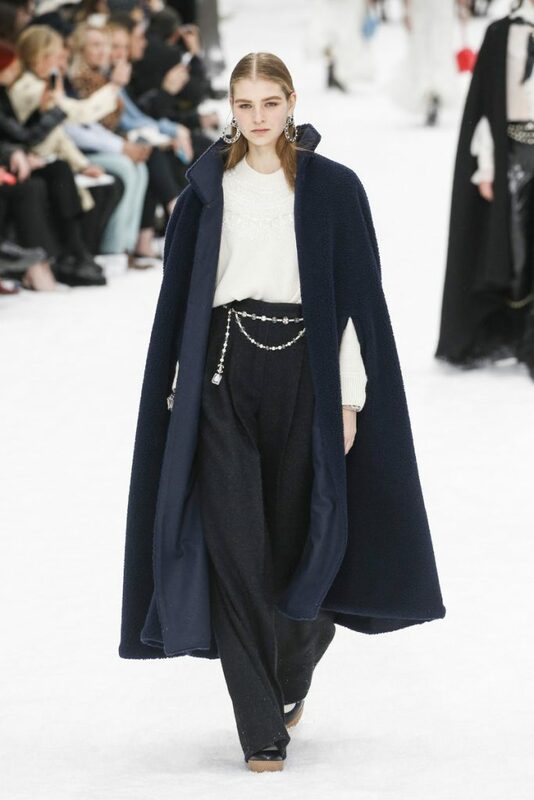 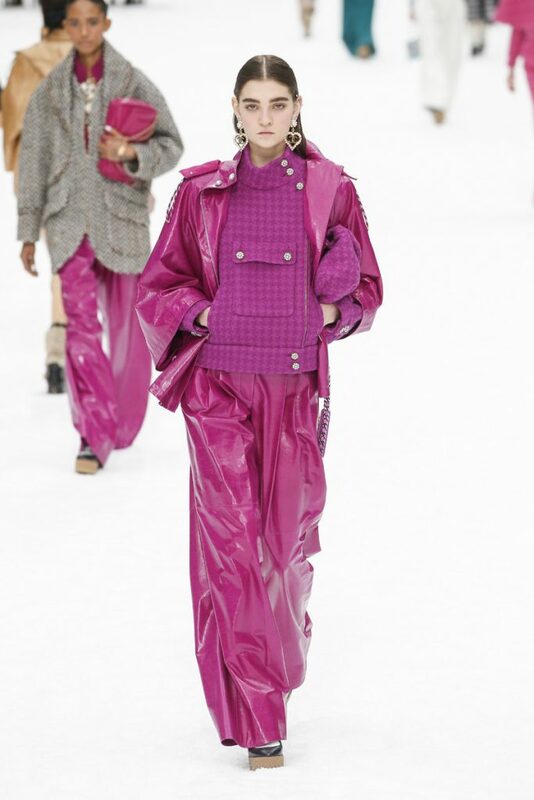 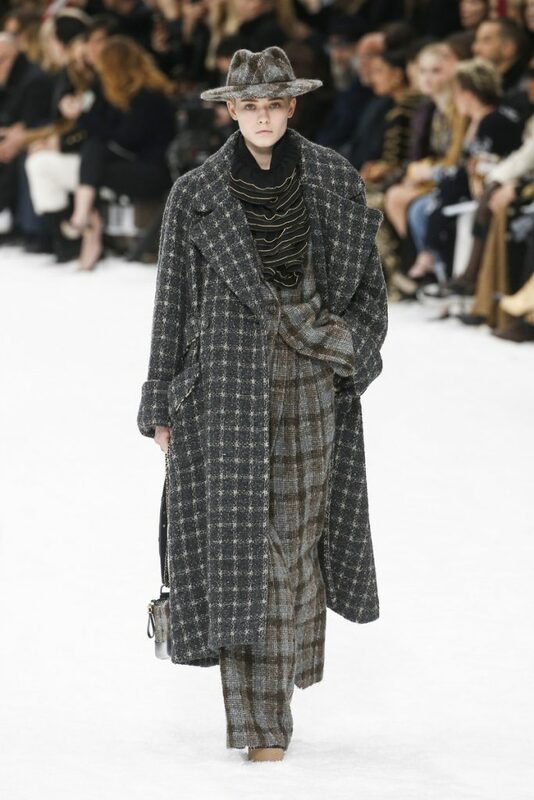 The roomy pants remained a big theme for this collection (and already was a big trend with other fw2019 shows too). 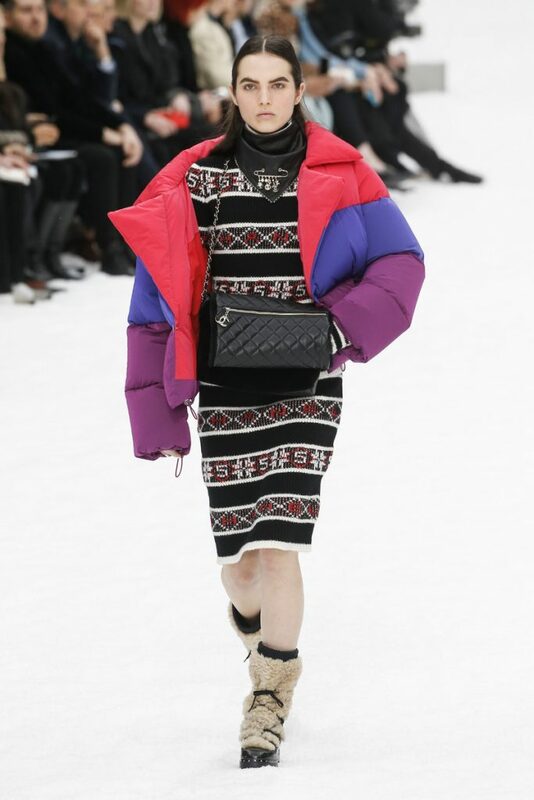 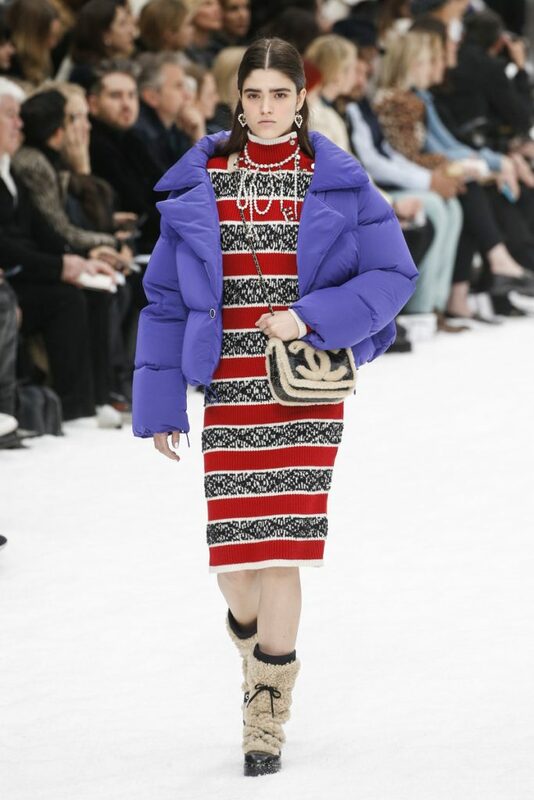 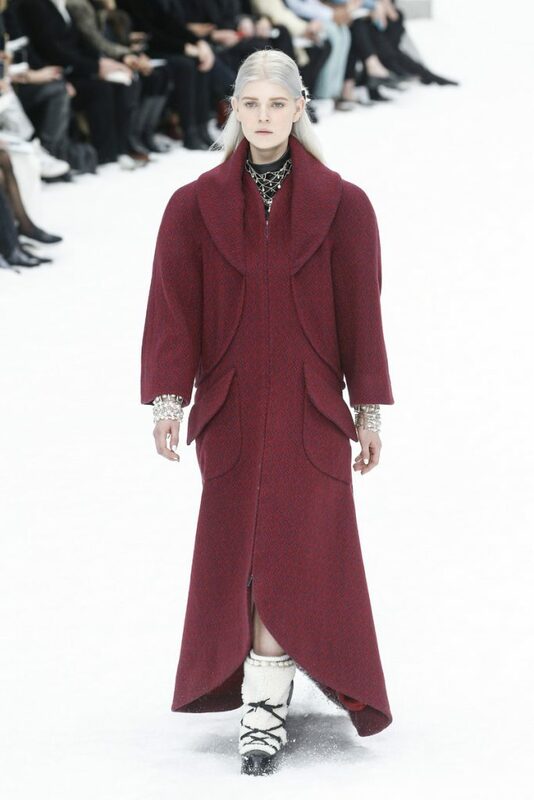 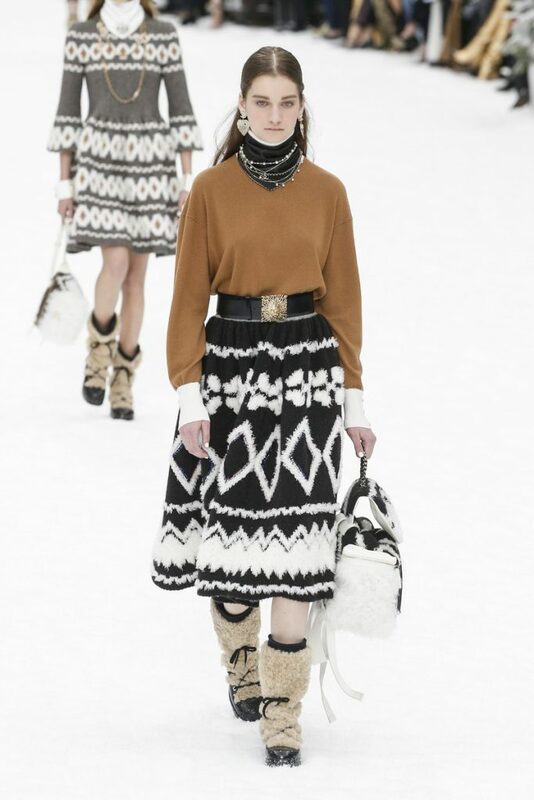 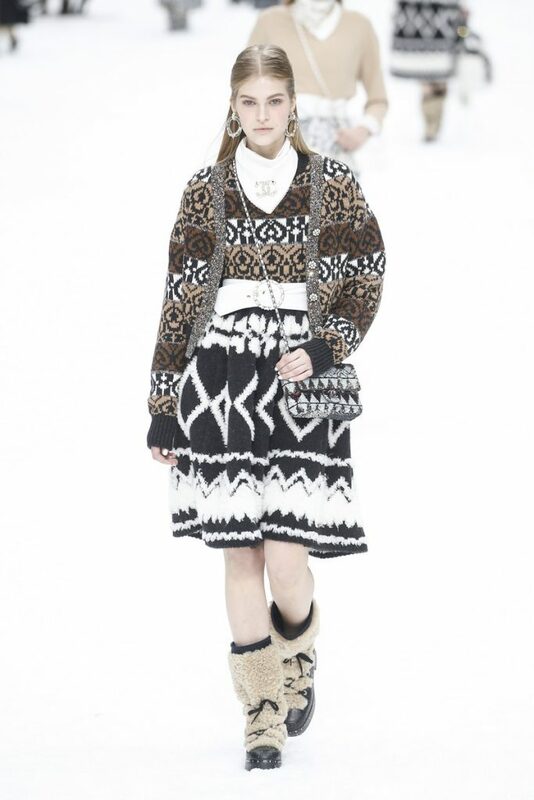 As were the knee length skirts, the capes and the colourful puffers. 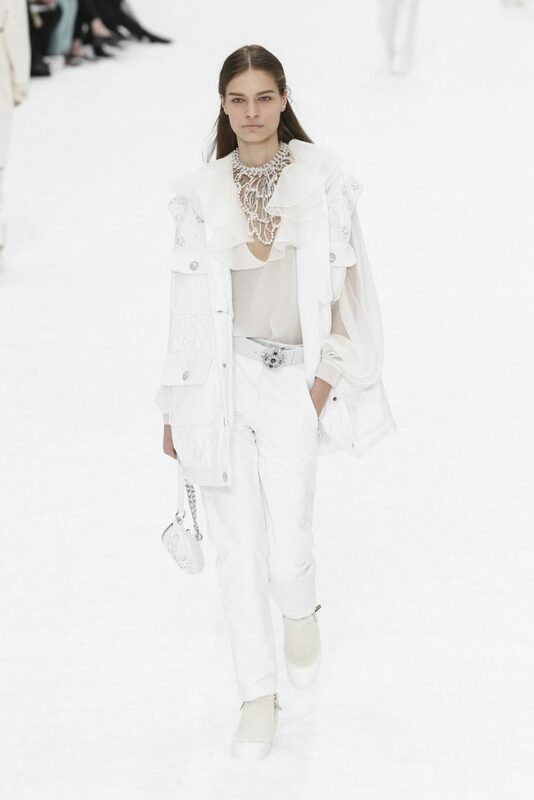 An all white finale of 13 looks, in which Penelope Cruz appeared, was the perfect lighthearted end this collection needed. 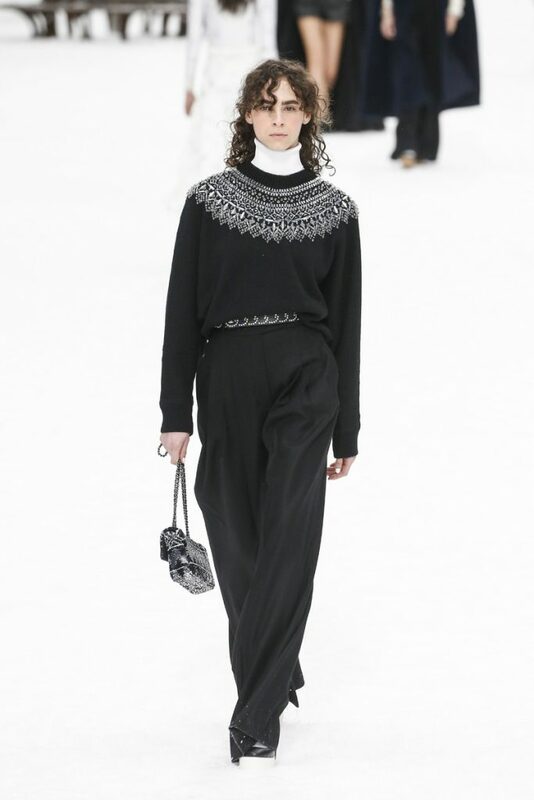 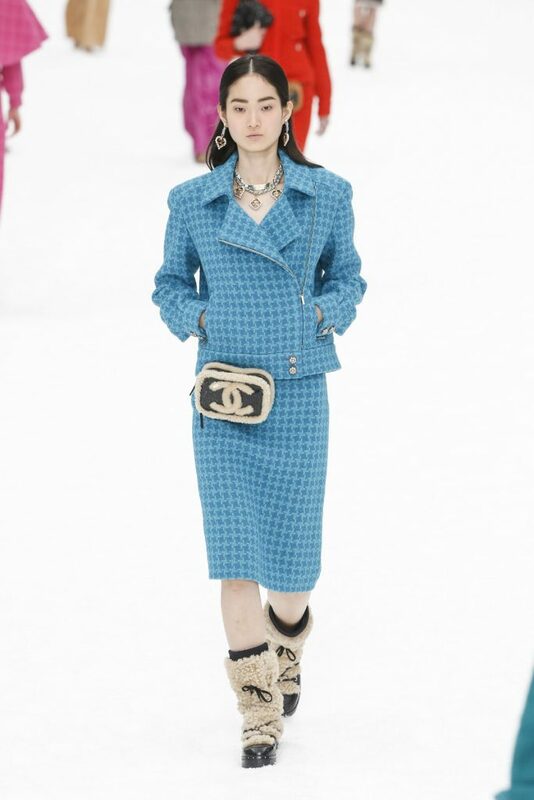 Come rain, come snow the Chanel lady will look exquisite rocking her moonboots with a selection of delicate pearl necklaces. 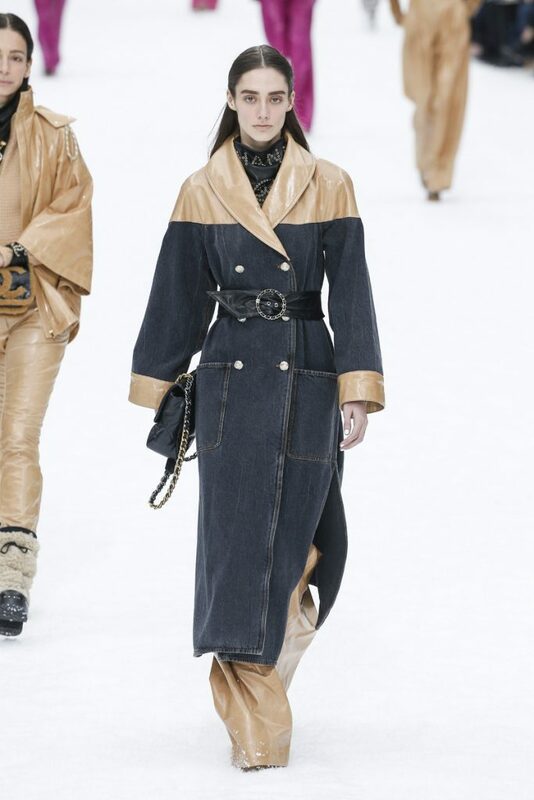 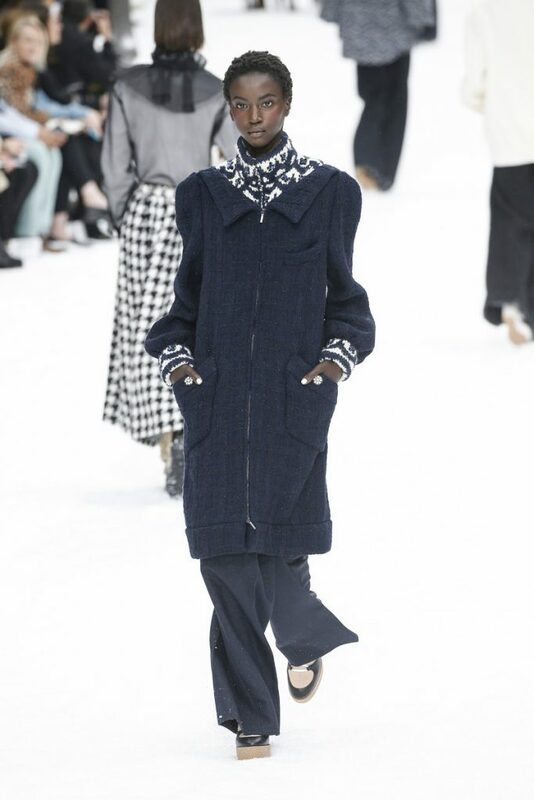 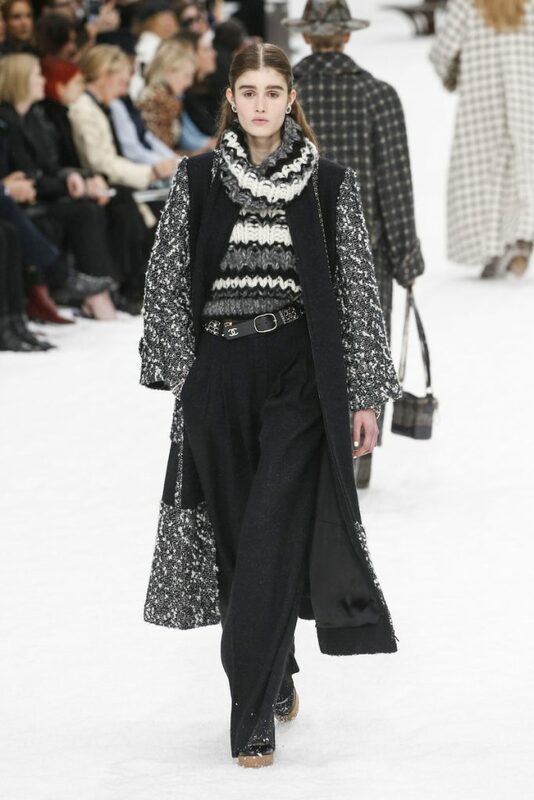 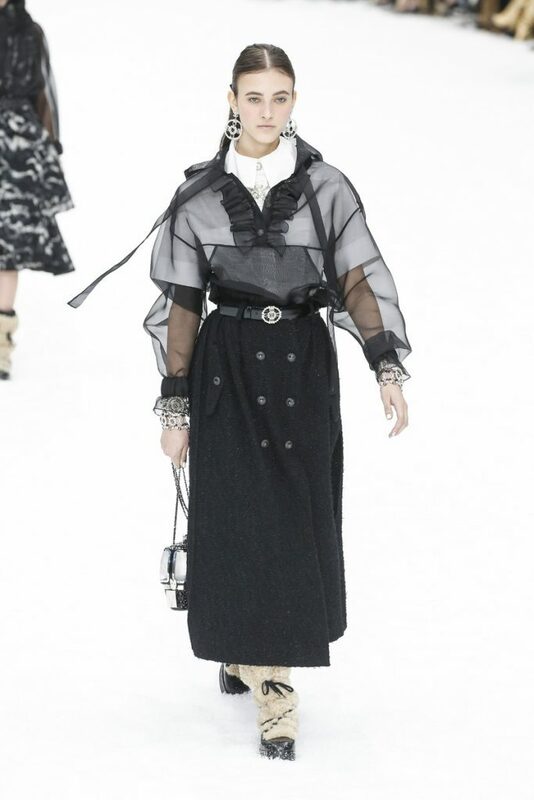 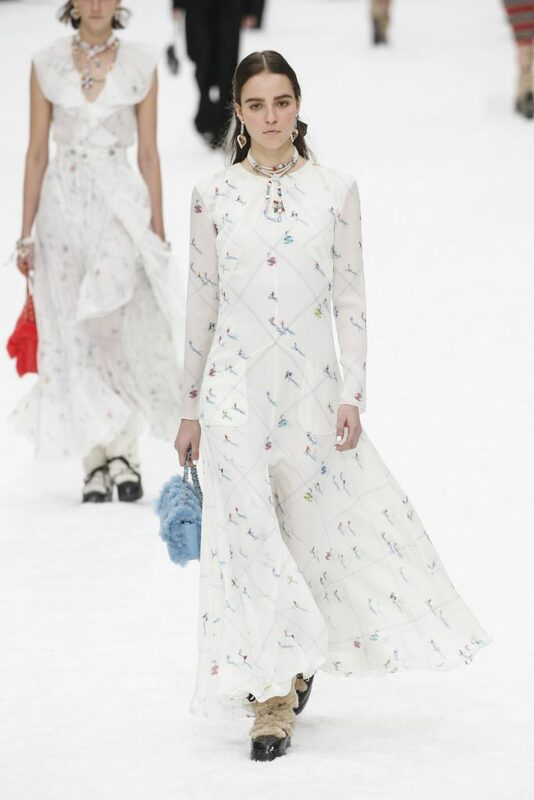 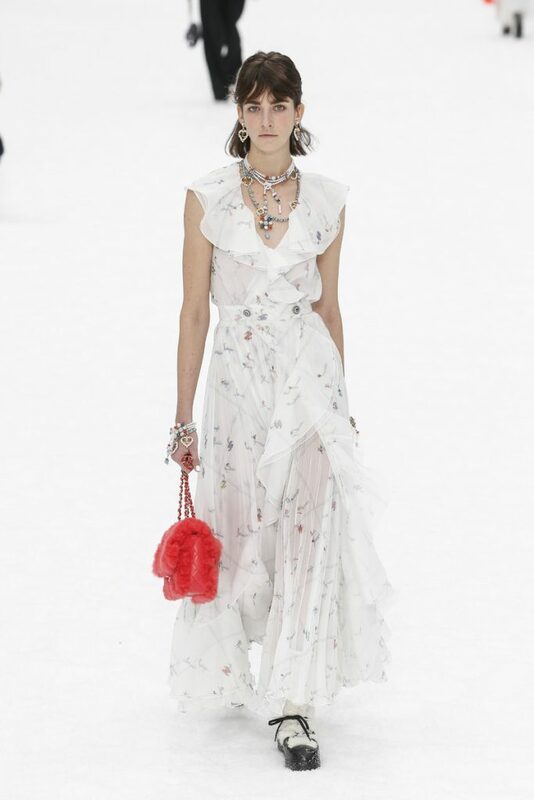 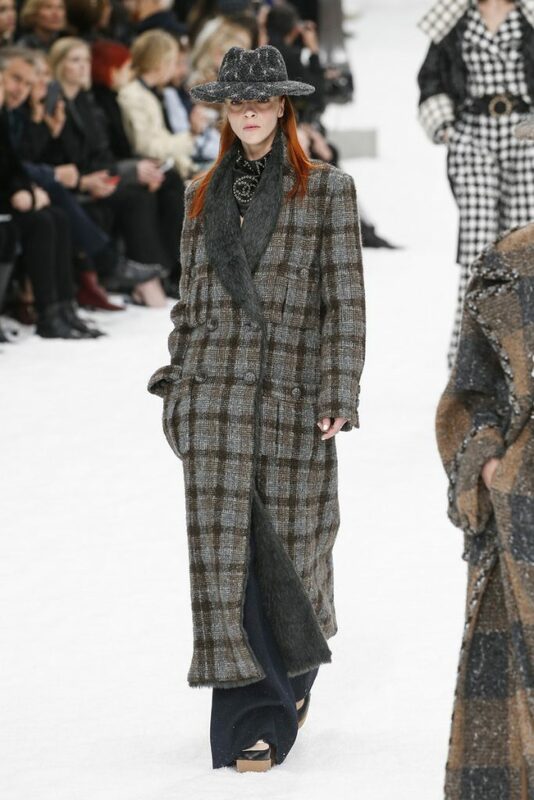 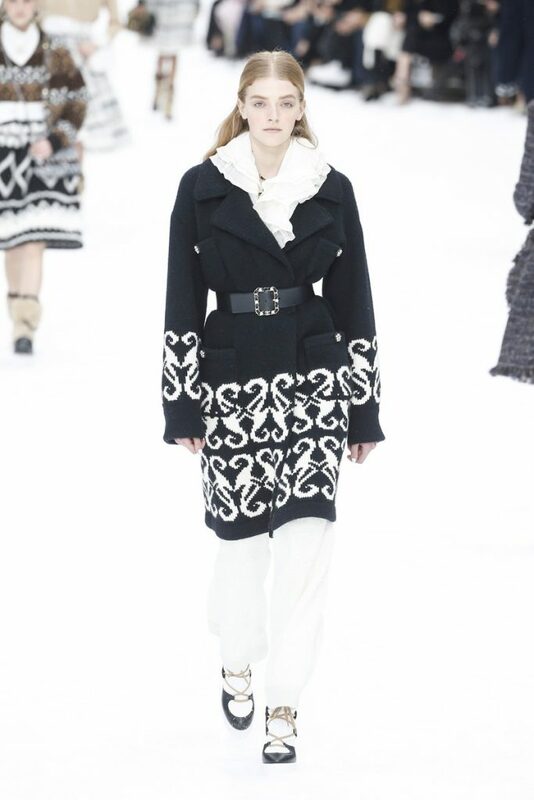 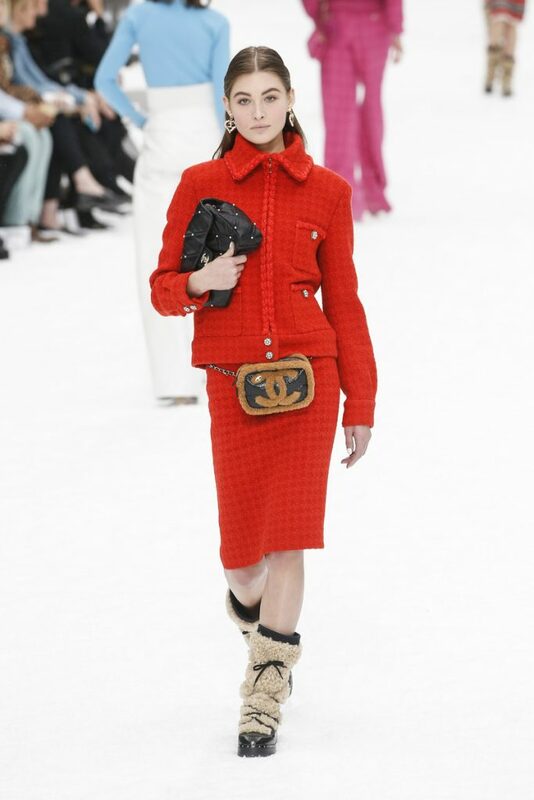 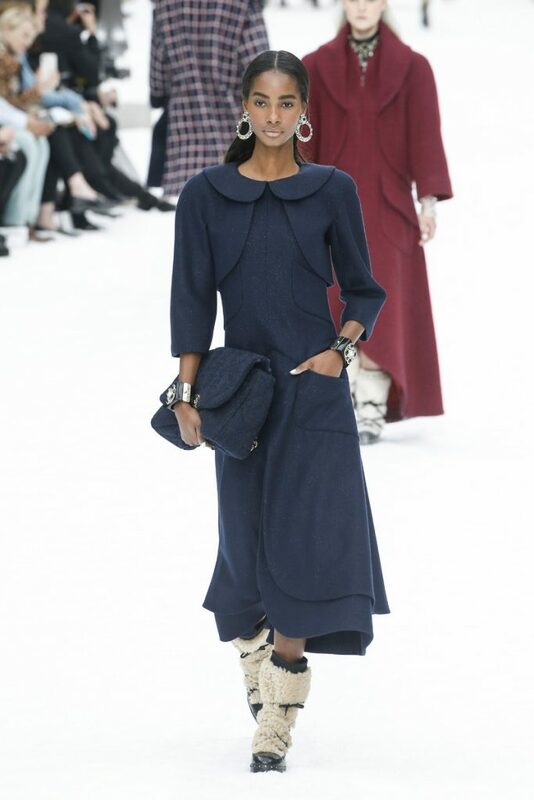 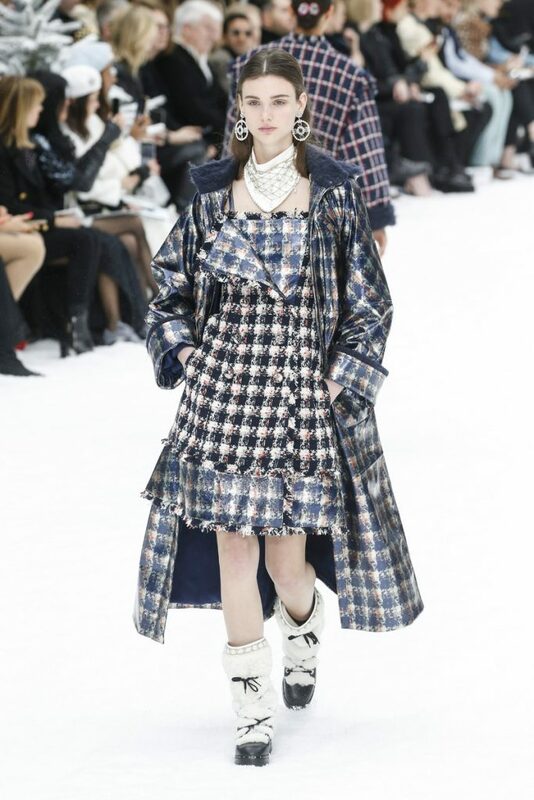 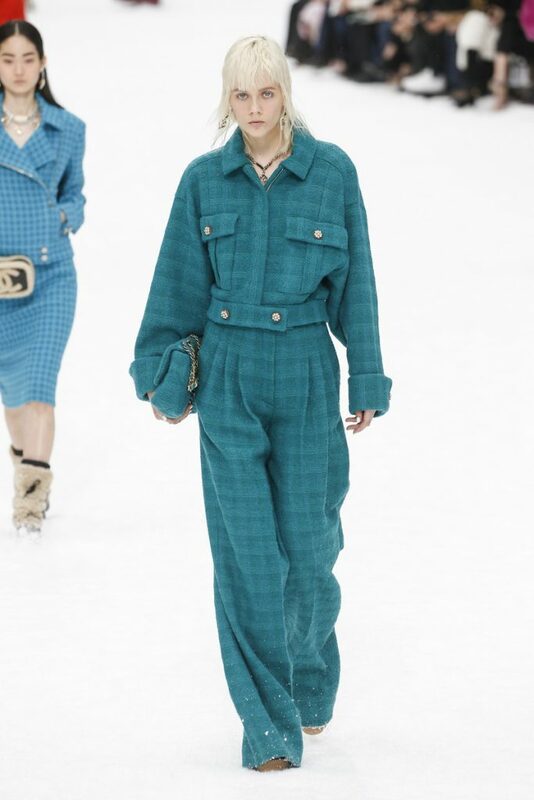 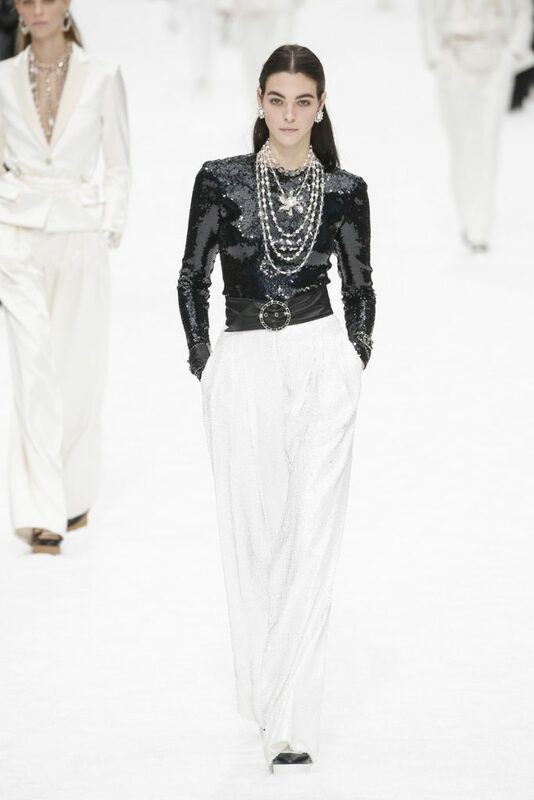 And even in Karls absence, we could feel how he once again put his everything into this collection and made this truly feel like any other (and yet ofcourse a show like no other) of his Chanel shows.